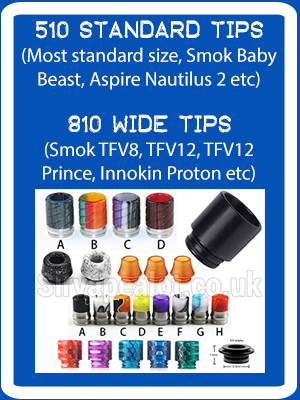 With over 6 Years Experience in Electronic Cigarettes we here at Sir Vapealots based in New Milton Hampshire / Dorset (between Bournemouth and Southampton) Catering for Christchurch Lymington and all surrounding areas deliver you the best quality electronic cigarette devices at the lowest prices possible. E-cigs (e-cigarettes/ electronic cigarettes, electric cigarettes) come in many shapes, sizes and powers and even variable voltage and variable wattage and we do our up most best to try as many products as we can and only offer you the ecigs/electronic cigarettes that we believe to be the best and most cost effective for their type, of course there are cheaper and more expensive options but we do our best to give you the best ecigs/ electronic cigarettes within their own respective price brackets. ‘Vaping’ with a ecig/electronic cigarette/electric cigarette is a great alternative to smoking it is far more healthy and socially acceptable and saves you a fortune in cigarettes / tobacco, plus it keeps the nicotine stimulant in your body which reduces the effects of weight gain etc when you fully give up the chemical and you wont smell like a ashtray! Is it Dangerous? The main trail of thought is nicotine is a stimulant and is no more dangerous than a cup of coffee if used in the correct ways as it is a poisonous substance if drunk and an irritant on skin. I wouldn’t shout this religiously but it is the general answer to the question. The question that should be asked is "is it safer than smoking?" the answer I would give (and im not a doctor) is a no brainer YES it is safer than smoking, there are over 4000 chemicals released while smoking a cigarette and 60 of these are cancerous. There are many videos and reports you can find on this. With numerous reports from English health authorities all advising ecigs over traditional cigarettes it is hard to find a GENUINE argument against them. Whats Used? A ecig / electronic cigarette consists of a battery powered unit to power a atomizer to vaporise a liquid. So what made us start Sirvapealot.co.uk? Easy question to answer, after far too many years of smoking and children and such arriving the usual worries about smoking started to escalate which resulted in many trips to the doctor and stop smoking groups followed by tablets and nicotine patches, nicotine gum and throat spray which didn’t do the trick no matter how hard we tried we could not kick the habit and give up smoking. One day walking through a supermarket looking at the available ‘kick the habit’ options I noticed a small electronic cigarette, I unwrapped it and dubiously put it to my lips thinking what a load of rubbish it was going to be, surprisingly it felt like smoking tasted like cigarettes and quenched both my need for nicotine and the habit and actions of taking a puff on a cigarette flick to a week later and I was saving money, not needing a dirty old ashtray and not stinking of smoke plus being able to use them indoors in pubs and shops was a big bonus although all these good points I still had issues, the batteries were rubbish one had broken within a week and the charge just didn’t stay long enough for a smoker as heavy as I was ( 12.5 gram pouch a day) so what next? Research started in a big way and then from this research a love of the ecig/ electronic cigarette gadgets and gizmos followed (plus the urge to try just about every flavour of eliquid going even of flavours I didn’t like in their normal form) With all the knowledge we gained from this time we decided to create Sir Vapealot Ltd and give our experience and research to you, the public. We do not sell ecig / ecigarette products on sir vapealot that we would not use ourselves and hope you find our products of the highest quality. 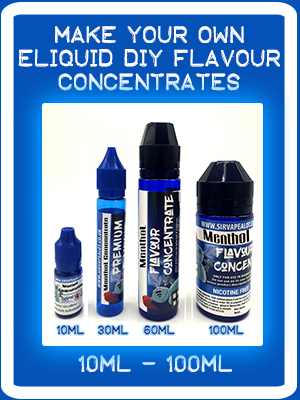 Give up smoking with vaping the healthier cleaner option.